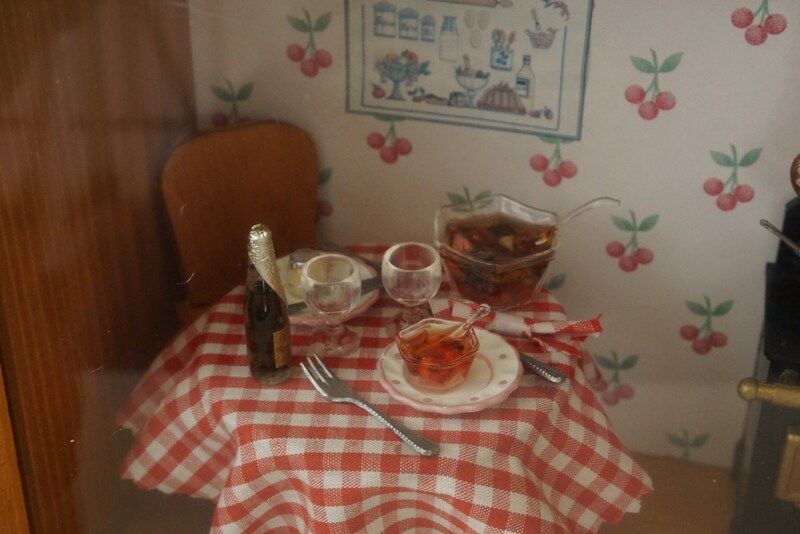 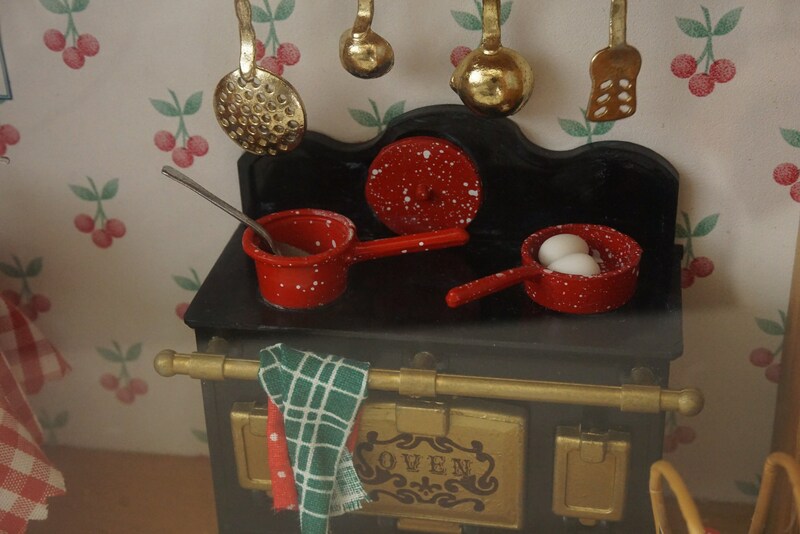 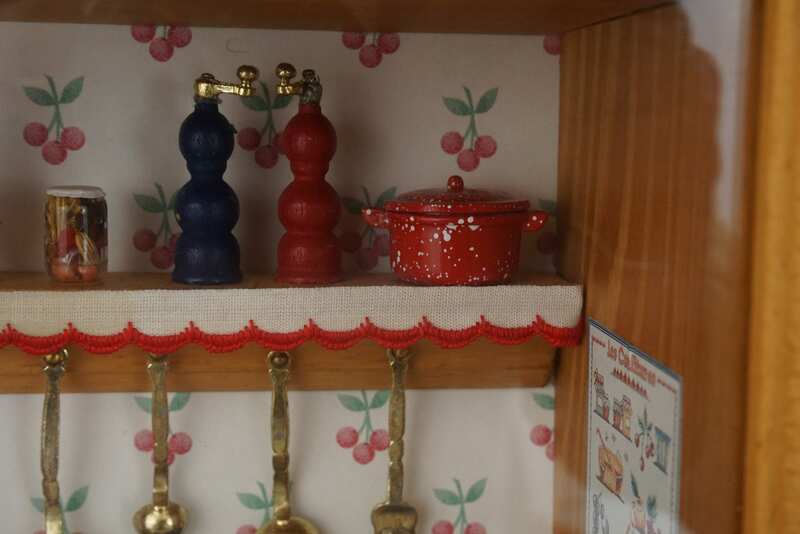 An adorable vintage miniature dollhouse diorama of a traditional French kitchen. 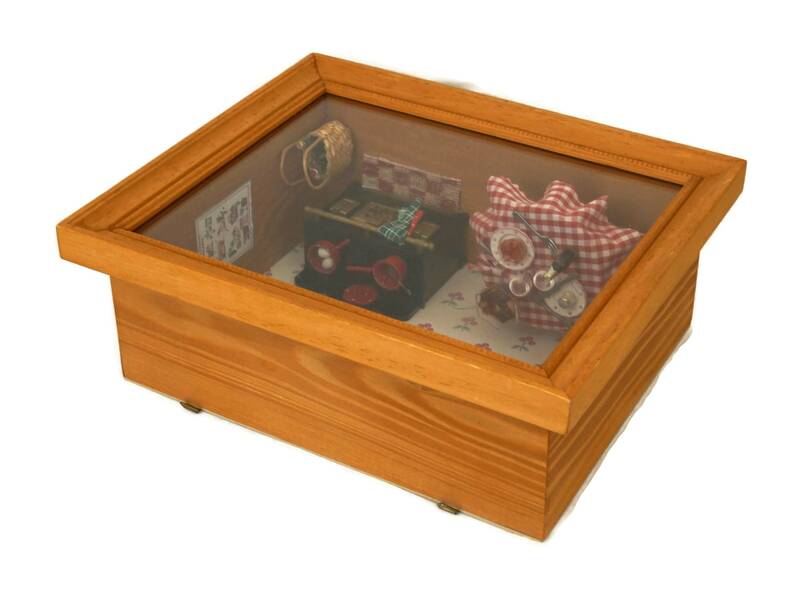 The one of a kind shadow box has been hand made and features exquisite details. 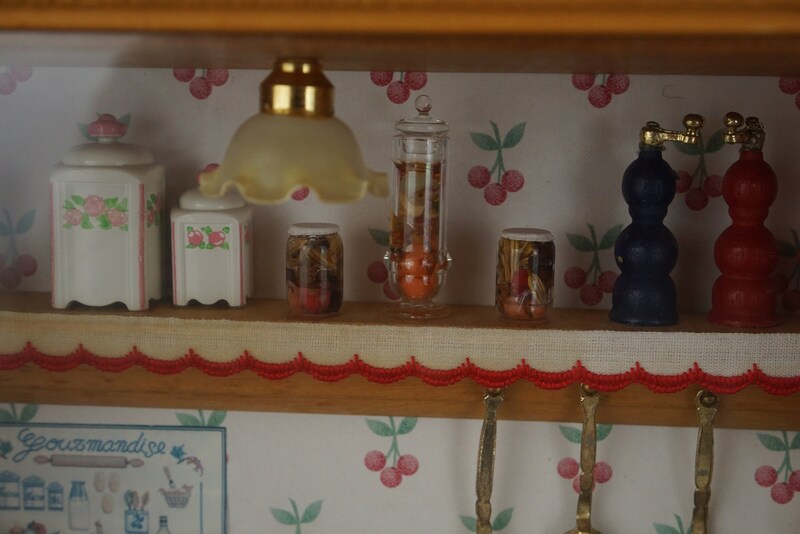 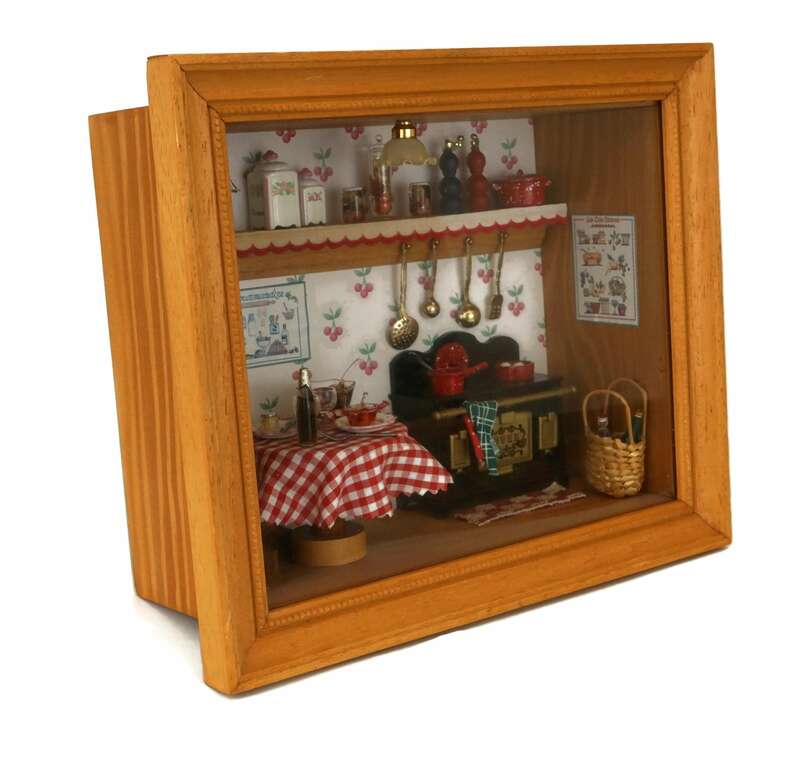 The country cottage kitchen scene has been presented in a wooden box frame and sealed beneath glass. 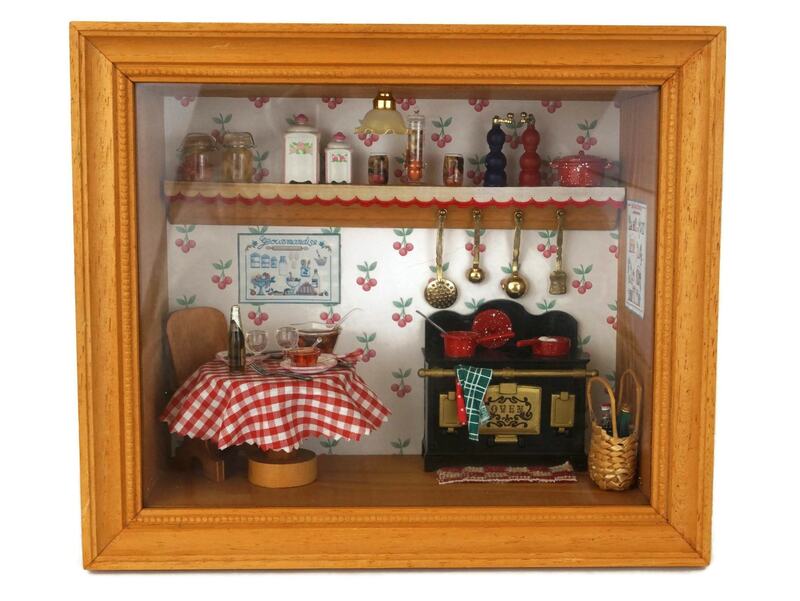 The diorama can be displayed on a shelf or it has hooks on the back to be hung on a wall. 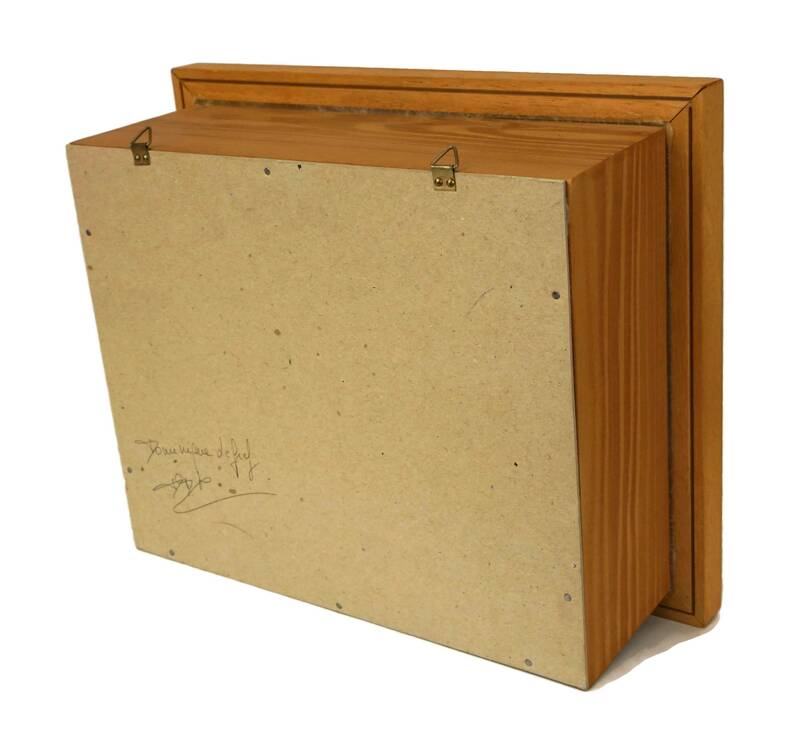 The reverse side has been signed with the French artist's name. 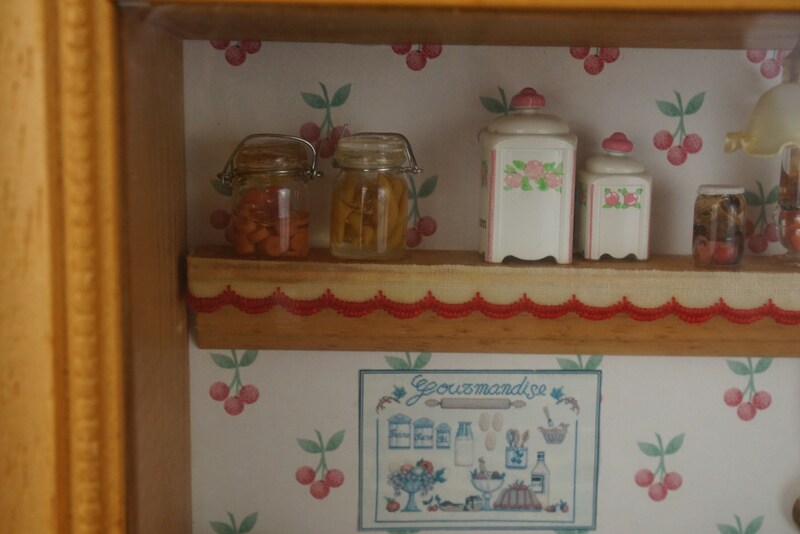 (21 cm x 25 cm x 10 cm). 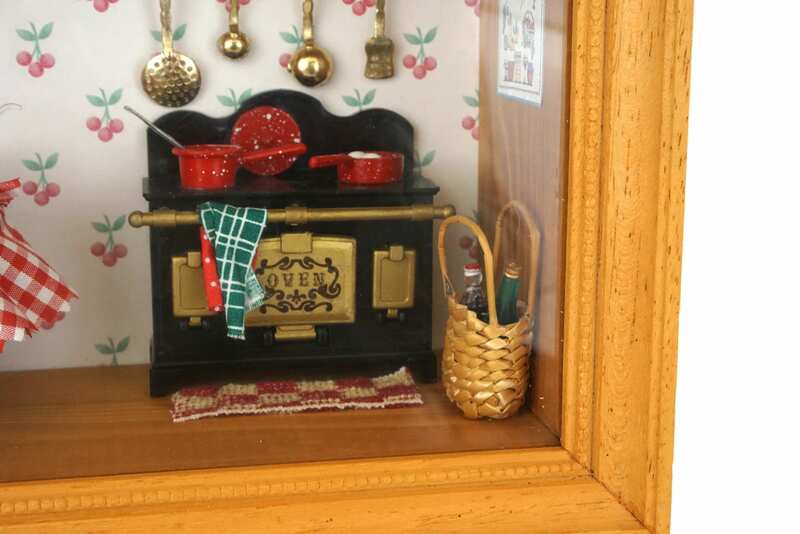 The vintage miniature kitchen shadow box is in excellent condition.